Borussia Dortmund winger Jadon Sancho has resisted the urge to taunt his England team-mates ahead of a meeting with Tottenham in which he admits he has "something more to prove". 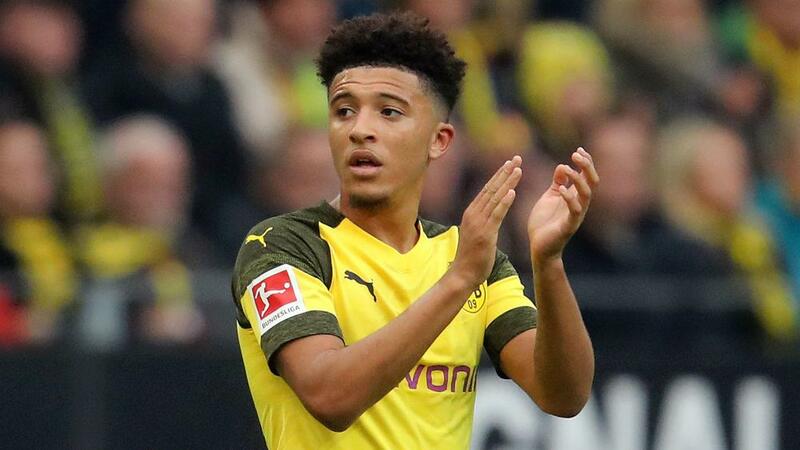 England teenager Sancho moved to the Bundesliga in 2017 and has since established himself as one of Europe's most exciting talents. "You feel you have something more to prove," he told ESPN. "I know a lot of people - especially a lot of young kids and also England fans - will be coming to the game to see what I'm about." The former Manchester City star has passed up the opportunity to poke fun at his team-mates, though, saying: "[There has been] a lot of 'we'll see you soon' and 'we're going to beat you', just things like that [from Tottenham players]. "Dele? He's got the most to say. I just sit back and stay quiet." Sancho has been seen as something of a trailblazer after making the early move to Germany, facing Hoffenheim's Reiss Nelson on Saturday while Callum Hudson-Odoi was widely linked with a January move to Bayern Munich. Of a potential influx of English players in the Bundesliga, Sancho added: "It's a good feeling, a nice feeling. "It's a good thing to give other players the opportunities somewhere else and not just at home. Give them a wider vision of what's out there. I'm happy that I've opened doors."